From Thomas Molyneux, “An Essay concerning Giants. 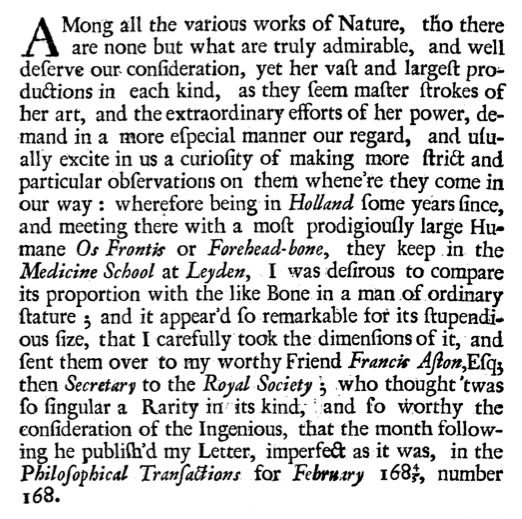 Occasioned by Some Further Remarks on the Large Humane Os Frontis, or Forehead-Bone, Mentioned in the Philosophical Transactions of February, 1684/5 Number 168. 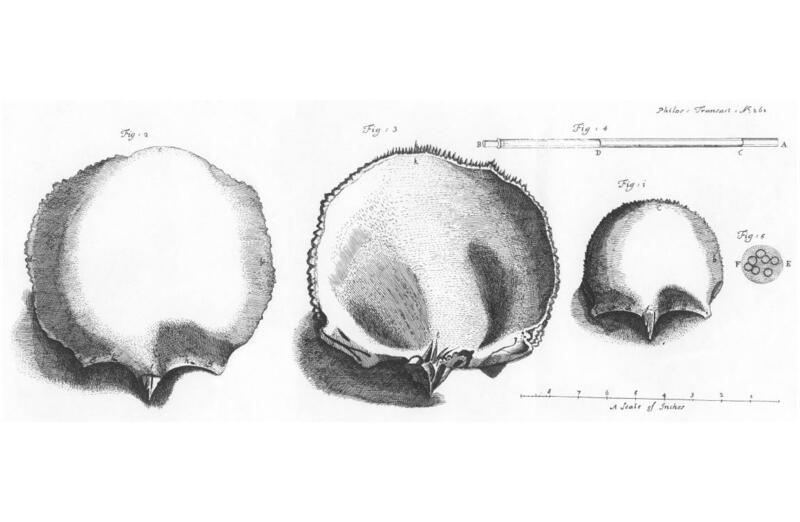 By Dr. Thomas Molyneux, M. D. Fellow of the King and Queens Colledge of Physicians in Ireland, and of the Royal Society in England”, in Philosophical Transactions, Vol. 22, February 1700, pp. 487–508.